Chanel in Saint Tropez.Chanel, for the 5th year running, launches its glamourous pop-up shop in the luxurious fin de siecle Villa La Mistralee. 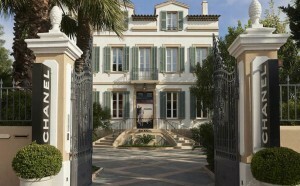 Chanel launches,for the 5th year running, its pop-up Saint Tropez Boutique in the luxurious fin de siecle Villa, La Mistralee. A light airy decor with colourful tissue paper panels hanging from the ceilings. An out door pool and Beauty Care products for a special outing. 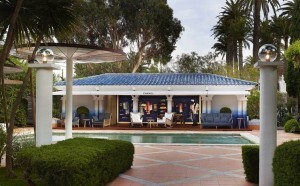 Chanel’s pop-up boutique at Villa La Mistralee, Saint Tropez, here the outside pool.